Palisades, an abandoned excavation at the end of a secret path at Cologny, the belvedere of the millionaires overlooking Geneva. This is the only hint of the replica of the Petit Trianon that Dmitry Rybolovlev (left image) and his wife Elena (right) would like to have built. When the two students from the School of Medicine at Perm, the ancient capital of the Urals, were married in 1987, Dmitry was 21. In the full accounting before the courts of Geneva, their divorce is now the most expensive in the world. Madam demands more than 6 billion francs, half of the fortune accumulated during their life together. Turn the page on two decades of their uncommon destiny, which saw the discreet Dr Rybolovlev put his hand on the potash mines of Berezniki – an industrial city carved out of the Urals in 1932 – to consolidate them into Uralkali. In 2008, this group has been worth up to 34 billion dollars on the London Stock Exchange, allowing the owner to appear, with his $13 billion of assets, in the 79th place in the Forbes ranking of the biggest fortunes in the world. The establishment on the shores of Lake Geneva of the Rybolovlev couple and their eldest daughter goes back to 1995. It was a choice for their security. With Russia in chaos, the oligarchs were tearing down the remnants of the Soviet industrial machine. Dmitri Rybolovlev himself will spend several months in prison in 1996 because of his possible involvement in the murder of an industrialist. He was later acquitted for lack of evidence. Their younger daughter will be born in the city of Calvin, where Elena Rybolovleva quickly learns French and instals in Petit-Lancy a foundation specially dedicated to the restoration of churches in Russia. Ten years later, everything goes wrong. The tabloids will evoke parties on yachts in the Mediterranean with young models. In 2005, the fertilizer magnate’s wife meets at a dinner in Geneva the lawyer Marc Bonnant. And she consults him on a proposal from her husband — to take out of their matrimonial regime their interests in a combination of companies with maybe nine-tenths of his fortune. In particular, this impacts on Madura, the holding company through which he controls 66% of Uralkali and 20% of Silvinit, another producer of potash. She refuses to sign. Years later she will realize that soon after her refusal, her husband had these interests in Cyprus trusts – Virgo and Aries – “which assured his role as the protector “, the sole beneficiary, while retaining control of the trustees , says Maitre Bonnant. No marriage contract having ever been signed between them, this meant that by default Swiss justice applies the regime of equal acquisition. That is to say, the two share equally the fortune which has been accumulated. After the divorce petition, filed in late 2008, provisional arrests are initiated in Switzerland, but also the British Virgin Islands, Florida, Cyprus and Singapore. In Geneva, her lawyer obtained the court’s temporary freeze of the main property of her husband – industrial holdings included – in March 2010. Defenders of the billionaire have since appealed to the Federal Court – the decision is still pending – to lift the blockade which, although not enforceable abroad, remains in practical effect. Invoking client privilege and recalling that the law requires “the closed door on divorce proceedings”, his lawyer, Anne Reiser, has declined to speak. These months of an asset hunt reveal a stream of wealth, which leads the media to focus on one of the most discrete of the oligarchs. A civil complaint filed in Palm Beach pries open the doors of the House of Friendship, drawing all eyes to two beachfront acres acquired for $95 million from the tycoon Donald Trump. 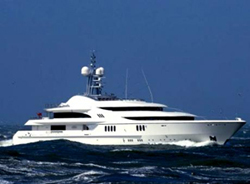 The Telegraph points out the existence in Italy of Motor Yacht Anna, a yacht worth more than $100 million. There is also the Airbus A319 and a Dassault Falcon, cited by RBC Daily. Or the Van Goghs and Picassos, which for a long time stayed in the freeport warehouse of Geneva before being sent to Singapore. These paintings were originally intended to decorate the property of Cologny, on which are today focused all telescopes. Consisting of several parcels of land acquired between 2002 and 2004 for 28 million francs, they would be worth today about sixty. The couple planned to erect a house very much in the style of Versailles, for which just the planning budget would have approached 60 million. Reflections of a lifestyle that had gone into stratospheric orbit, these goods are just the dressing of the stakes in groups Uralkali and Silvinit, which constitute the submerged side of the oligarch’s inheritance. The couple are torn apart over their valuation. They summed to nearly 2 billion francs in 2005, when the oligarch is suspected of disposing of them. But more than 12 billion at the end 2009, according to an estimate commissioned by the attorney of his wife. 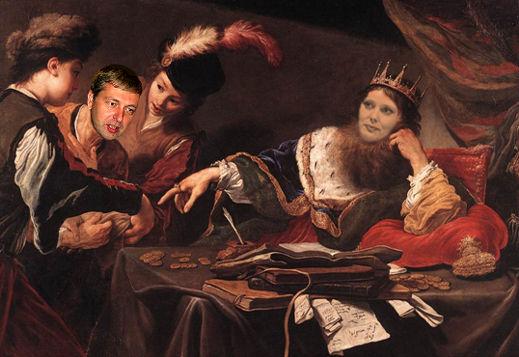 In summary, it is now a matter of whether, in the eyes of justice, Madam Rybolovleva may claim 1 or 6 billion dollars. Meanwhile, her lawyer is said to be ready to argue against the trusts that had received the goods, in proceedings which could take years. And he accuses her husband of having done everything possible to “reduce his financial standing, and arranging a scheme of insolvencies.” He cites the recent sale of a Van Gogh, for several tens of millions. Or non-payment of nearly 3 million to construction contractors at Cologny, “The latter have taken hold of the property as security from the courts,” said Marc Bonnant. Last June, cold Russian reality catches up with the settlement of this very bling-bling divorce by the Swiss courts. Pressures at the highest level lead Dmitri Rybolovlev to relinquish control of his chemical empire. Did the former Perm doctor attempt to transfer his stake in the Cyprus trusts from 2005 to shelter them, not from his wife, but from the Kremlin’s appetite? A banker who does not want to be quoted echoes another Moscow rumor that Rybolovlev and his wife have consciously decided to divorce, so that the Russian state wouldn’t get its hands on the potash empire. Swiss justice could thus help to conserve half his fortune through his wife. “This makes no sense, this is no divorce with connivance,” protested the lawyer of Elena Rybolovlev. Unlike Mikhail Khodorkovsky – the former owner of Yukos oil group whose second trial is currently on in Moscow – the tsar of potash has not been expropriated nor sent to prison camp. Instead, he received $ 5.3 billion in cash when he was ousted last June. The asset hunt by his wife’s lawyers will continue to track down other shareholdings, such as his stakes in the heart of the Bank of Cyprus. This summer the fallen oligarch has become the principal shareholder of this institution, through Odella, a structure in his name and that of his two daughters. There, there may be deposits of “under a billion dollars”, according to Panagiotis Kladis, an analyst with the brokerage firm, National Securities Cyprus. It remains to be seen whether the bloodhounds commissioned by his wife will also get their paws on that.